The expunging of the 16-count felony indictment against actor Jussie Smollett for faking a hate crime against himself is being treated as a manifestation of Chicago machine politics. Feminist attorney Tina Tchen, the former chief of staff to first lady Michelle Obama, had contacted the Cook County prosecutor, Kim Foxx, about the case on behalf of a member of Smollett’s family. 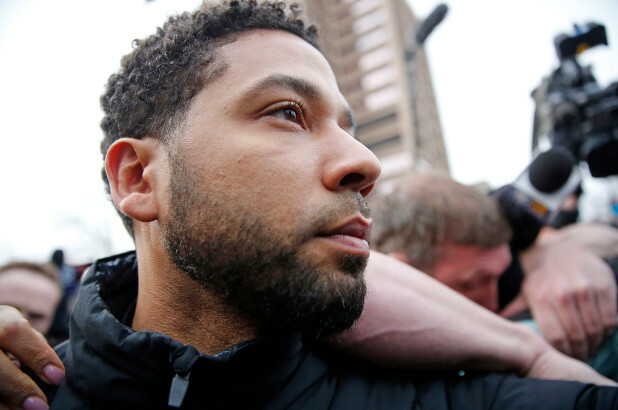 But the dismissal of a seemingly watertight case, based on the sworn confessions of Smollett’s two co-conspirators and reams of physical evidence, represents more than celebrity justice. It is rather the latest example of the incursion of academic identity politics into the workings of government. Had Smollett been a straight white male who had staged his own attack by fake Antifa Trump antagonists, he would most certainly still be facing a trial and the prospect of prison time. But Foxx is a leading figure in the recent national wave of progressive local prosecutors who came to power by playing race politics — including the Brooklyn DA, who wants to put people arrested with guns into “diversion” programs meant for first-time drug collars, and the Philadelphia DA, who last year refused attempted murder charges against a robber who shot a Philadelphia shop owner and likely paralyzed him for life. Like these local DAs, Chicago’s Foxx campaigned on the Critical Race Theory credo that the criminal justice system is endemically biased. She inveighed against the so-called school-to-prison pipeline and promised to reduce racial disparities in prosecutions. Last month, she dismissed aggravated battery charges against a 16-year-old student who had attacked two Chicago police officers; the Chicago police union argued that her dismissal of the charges fit a pattern of favoring offenders over police officers. She operates in a cultural milieu that holds that the fact that a hate crime is a hoax is less important than the fact that it could have been true. Prosecuting Smollett could have sent another black man to prison. Is there a race-based system of justice here? Dismissal of a case usually requires that the defendant accept responsibility, stay out of trouble for at least six months and make restitution. Jussie Smollett not only denied responsibility, he proclaimed that his innocence has been vindicated. As for restitution, Smollett spent 16 hours at Jesse Jackson’s Rainbow PUSH headquarters “encouraging visitors to purchase PUSH gear” and offering marketing tips, Jesse Jackson said. Volunteering for the Chicago Police Department’s Explorers Program would have been a better way for Smollett to pay back the city. At least 12 detectives worked full time trying to hunt down Smollett’s fictitious white supremacist lynch mob, interviewing more than 100 individuals. That shoe-leather detective work should have gone into solving Chicago’s real shootings, many of which are witnessed, though bystanders rarely cooperate. But the political fever around “hate” in Trump’s America is a more pressing political concern than garden-variety drive-bys, especially since both the victim and the perpetrator in those shootings are almost invariably black. Where is the advantage to the social justice narrative in investing resources just to prosecute more black people? Before Foxx, Brooklyn DA Eric Gonzalez and Philadelphia DA Larry Krasner, there was Maryland’s State’s Attorney Marilyn Mosby, another product of the racism-industrial complex. Mosby brought inflated charges against six Baltimore police officers for the death of drug dealer Freddie Gray and was rebuked by a judge for her prosecutorial overreach. Though the criminal investigators in the Obama Justice Department concluded that the “Hands Up, Don’t Shoot” narrative against Ferguson, Mo., officer Darrell Wilson for fatally shooting Michael Brown was a fabrication, the civil rights attorneys in the Justice Department went ahead and issued a tendentious report accusing the Ferguson Police Department and court system of racism anyway. More and more law school graduates, steeped in Believe Survivors ideology and Critical Race Theory, will enter positions of power in the criminal justice system in the coming years. Whether they erode our expectations of political neutrality in favor of “social justice” remains to be seen. One thing is certain, however: The dismissal of the Smollett indictment will encourage more such social justice-inspired hate-crime hoaxes, and they will continue to find a credulous audience in the media and among academic and political elites. Heather Mac Donad is a contributing editor to the Manhattan Institute’s City Journal, from which this was adapted.